Here is my entry in the Moxie Fab Trigger Tuesday challenge. They gave us this pic here to use as our "trigger" or inspiration. 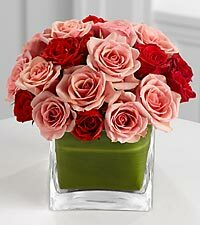 I mean really, how can you not be inspired by this beautiful vase of roses!!! 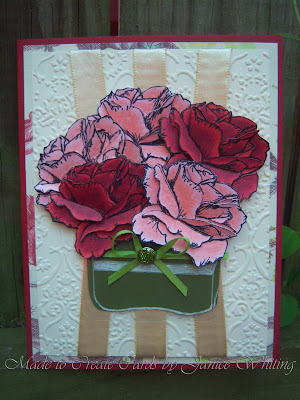 One, I LOVE red roses and two, those pink ones are just the perfect muted-pink color. Love how the vase is a squarish shape, too! I'm assuming it is pretty obvious where my inspiration came from! 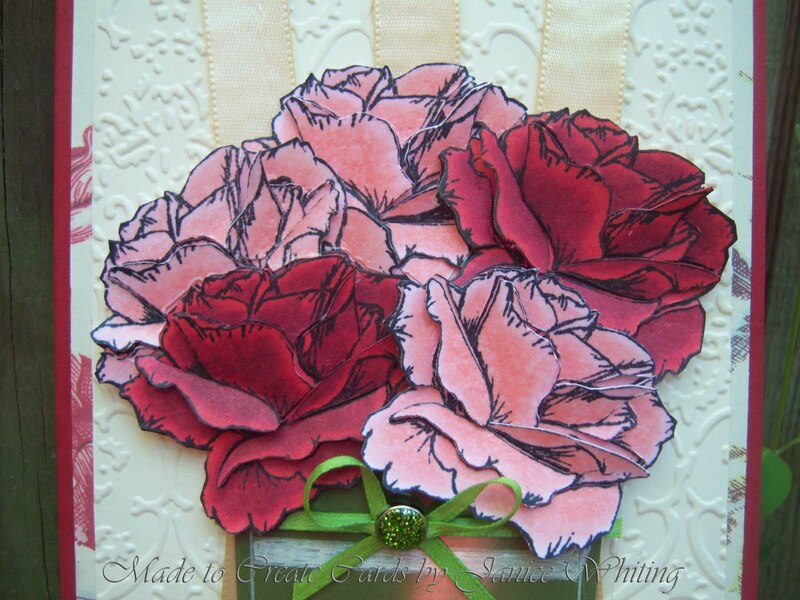 I used GKD Melanie Muenchinger's "A Year of Flowers" stamp set for my beautiful roses. I stamp two for each rose and colored both. The rose I colored fully I paper pierced then adhered the petal pieces with glue dots. The base of my card is GinaK Designs Pure Luxury cardstock in Rocket Red. I am also entering this in the StampTV inspiration19 challenge. The challenge was to make a card that would make someone smile. I always smile when I receive flowers (espcially, roses) so I thought i couldn't go wrong with this one! Is lovely, terribly beautiful, I'm fascinated.